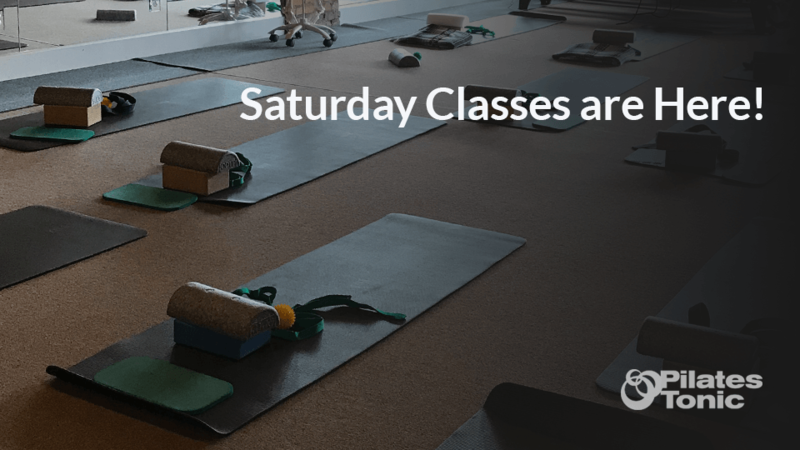 The Pilates Tonic Blog Saturday Classes Are Here! The 2018 Fall Saturday Series starts September 15, and we couldn’t be more thrilled to share the details with you! These classes cost the same as regular mat classes, and you can sign up for as many of them as you’d like. Each class reflects a passion of the Pilates Tonic teaching crew, and we are pumped to have the opportunity to home in on each class theme. Here’s to bringing more movement, satisfaction, and awareness to our bodies this fall season! P.S. There are still a few class dates and themes in the works. I’ll keep you posted as we add them. This class will focus on the deep fascial and muscular system that, when in healthy working order, activates automatically without conscious thought. This deep system is made up of your most buried muscular structure that directly attaches to your spine and pelvis. Also, if this system is in working order for your body, this is a great way to go deeper with your practice and ability to sense these connections as they’re happening. This class focuses on what is more commonly thought of as core muscles, the muscles between your ribs and hips. You will explore a variety of movements between your ribs and hips and understand how adding more variety of torso movement to your life can dramatically improve your overall core and whole body well-being. Weight-bearing exercise is recommended for building and maintaining bone density. While that sounds simple enough, there’s very little said about what, precisely, weight-bearing means, let alone how to properly incorporate weight-bearing exercises into our lives and fitness programs. In this class, you’ll learn how to recognize and improve the weight-bearing aspects of both standing and walking. You’ll learn how to make natural, vital shifts in your alignment that, when practiced consistently, make a profound difference in your hip bone health. Plus, you’ll learn important corrective exercises that will up your bone building ante when added to your daily routine! This class is for anyone interested in running, whether you currently run or not. You’ll learn specific stretches and exercises that are beneficial for running. Will is an avid runner and passionate about helping others discover their innate running abilities. He’ll also explore mindset when it comes to running, footwear, treadmills, trails and more! The ribs and wrists are two of the four places bone loss shows up most frequently as we age. In this class, you’ll learn a few of the reasons why, as well as specific corrective exercises to help promote bone health in these areas. This class will also focus on your arm’s connection to your mid-back and how this vital connection supports efficiency, function and well-being of your thoracic spine. We are natural movers by nature, and our bodies require the ability to twist, turn, bend, and reach in all directions throughout every day of our lives. How does your core support lifting your arms overhead? How do your obliques help you rotate to reach something without having to turn your entire body around? How does your core help support your body while squatting to the ground to pick something up? This class will show you ways to build and work on functional core strength (while focusing on your breathing and alignment too! ), so that you can begin moving in a smarter, more functional and optimal way for daily tasks! The pelvic floor is made up of the muscles and fascia at the bottom of your pelvis. Most of us are familiar with Kegel exercises which have become synonymous with pelvic floor health. Unfortunately, many of us perform these exercises incorrectly. While the intent is good, the results of improper Kegel exercise can contribute to pelvic floor disorder. Certain, everyday modern habits influence the way our body receives gravity. By reviewing and then making subtle (and some not so subtle) changes to these habits, you can safely and efficiently enhance your pelvic floor health. Come and explore another perspective on pelvic floor health. You’ll leave this class with practical changes you can make on a daily basis as well as specific corrective exercises. Squeezing the glutes together is a common misunderstanding for functional glute activation that can wreak havoc on the SI joint, pelvic floor, and low back. However, if squeezing the glutes together isn’t a functional way to activate or strengthen the glutes, what is? Come and find out! In this class, you’ll learn functional ways to activate your glutes that make a vast improvement in overall health and well-being. Key areas of unconscious tension are in the neck, psoas muscles, and kneecaps. This tension is often challenging to release because we don’t even know we have a habitual holding pattern happening. The first step is discovering that the tension is there and once aware, release becomes possible. This class takes you through specific release exercises and instruction to release chronic tension at the base of the skull, psoas, and kneecaps. You’ll be amazed at what a difference release makes in these key areas! In this restorative movement class, you will learn how to tune in and identify what your body needs and how you know when those needs have been met. When you align how you move with how you want to feel, you’ll be amazed by what becomes possible in your body—and in your day. Using small props and your naked feet, you’ll be guided through a series of restorative exercises determined by what’s alive “in the moment” specifically for you. Explore your unique way of seeing, moving and checking and how subtle shifts in those ways can lead to greater alignment, release, and presence. Leave with a new understanding of how you make meaning through your body and receive safe and practical tools to continue to nourish your body and support your life through movement. Your feet have a direct relationship with your pelvis and issues with the feet affect everything else above. This class will explore foot mobility, femur alignment and how the two influence one another and everything in between (ahem, ankles and knees!). How much is a regular mat class? Hi Kathryne, A single mat class is $17 plus sales tax. We also offer packages of classes.